As a child, I used to play in a workshop where some of the world’s most talented weavers sat at wooden looms and created masterpieces. Today, I am a 4th generation weaver in Kyoto. 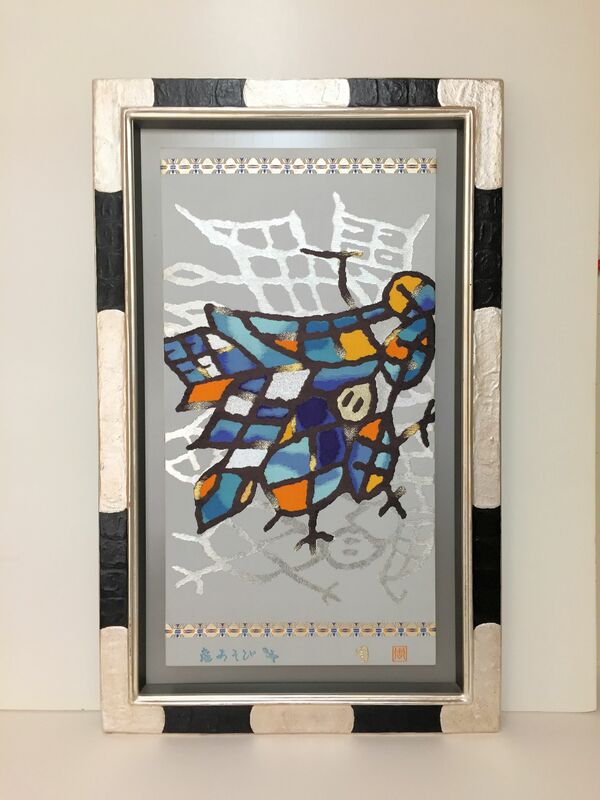 I design and weave one-of-a-kind art pieces. Instead of paints and brushes, I have chosen to make original art with fine silk yarn and an ancient-style hand loom. 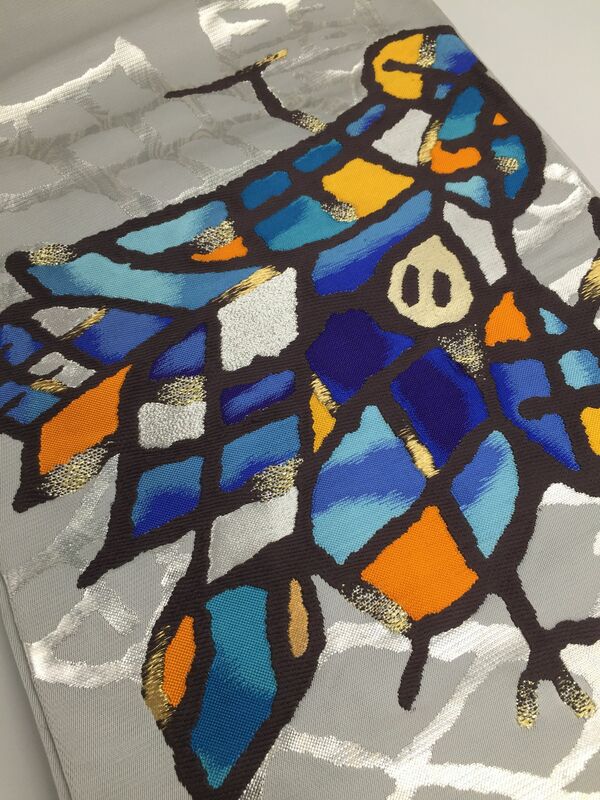 We call this kind of fabric Nishiki. It is considered to be the most luxurious, complex commercial weaving in the world, and requires long arduous training to master. In my case, I saved some time in training because my years as a rock drummer improved my foot and hand coordination. Silk yarn is actually a prism through which light is refracted, resulting in luminosity. To wrap oneself in a silk kimono is to be held in pure light. After creating a hand painted design on paper, I send it to a specialist who painstakingly converts it into Jacquard cards, one tiny pixel-like speck at a time. Though I perform 95% of the weaving process by hand, the use of Jacquard cards is especially necessary for achieving highly complex, 3-dimentional weaving. Without that system, I would need a 2nd person directing me to choose each thread to weave from many colored threads and thin metal foil paper strips. I order many colored shades of yarn for my work from two brothers working in an old wooden Kyoto shop, deep within the city’s weaving district. They produce all of the colors for my design to perfection, using only their eyes and their keen sense of color. 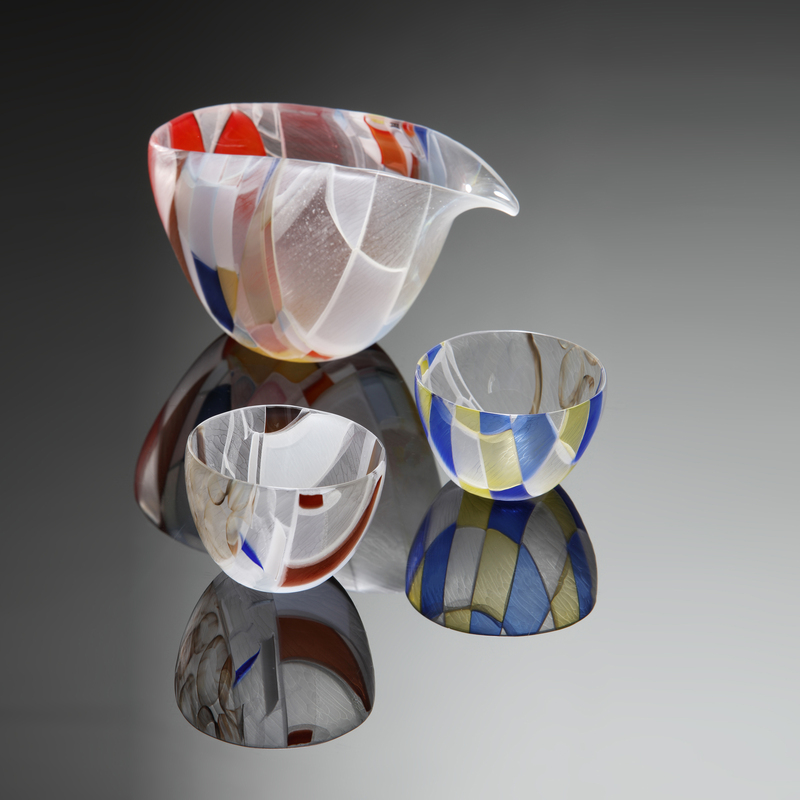 I infuse my work with precious metal highlights, using the age-old process which made the Nishijin district of Kyoto famous throughout the world. I order this from a leaf specialist who meticulously affixes the extremely fragile gold, silver and platinum leaf to hand-made Japanese washi paper. The paper is then slit into the very narrow strips which I weave into the silk warp threads. 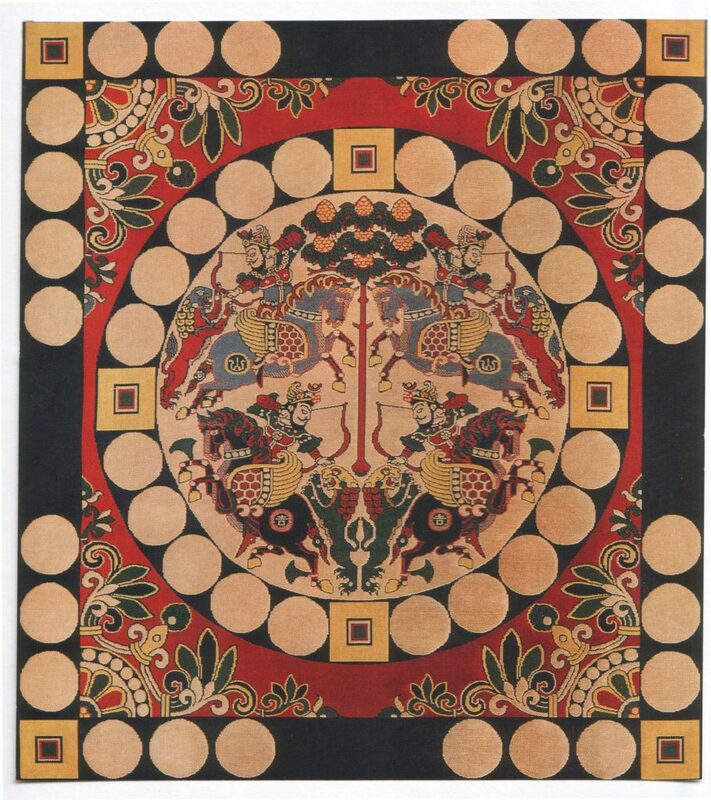 By re-creating the 1300-year old Nara loom, my great grandfather Koha Tatsumura re-introduced 7th century textile designs from the Silk Road, back into the Japanese culture. He and my grandfather, Kosho, turned those designs into kimono and obi and fabrics for interior accessories of rich history and variety. 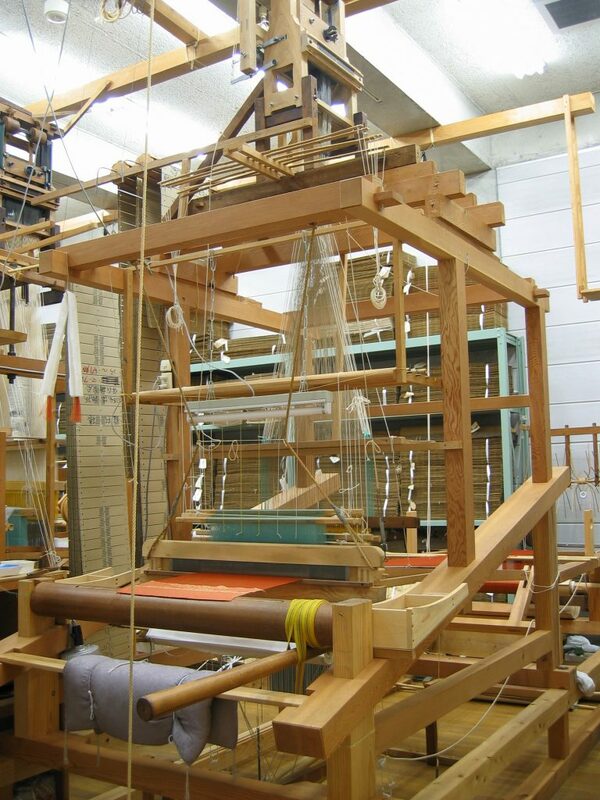 My father Koho created a foundation, in order to provide challenging work for Japan’s finest weavers. By way of commissions from the Japanese government, Buddhist and Shinto organizations and members of the Japanese Imperial Family, weavers of the highest skill level transform my father’s contemporary designs into woven treasures. For the rest of my life, I imagine that 3-dimentional Nishiki silk weaving will challenge me to rise to higher levels of skill and ingenuity, while it presents me with vast opportunities to create the art of my dreams. Born in 1974 as the first son of Koho Tatsumura Koho. Graduate of Tokyo Zokei University. 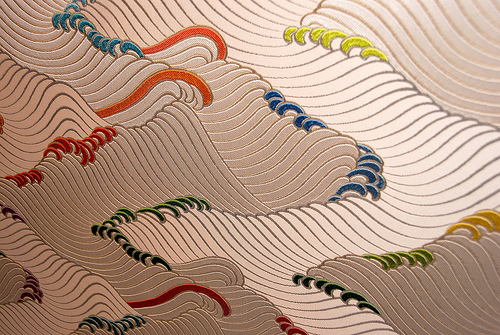 With a primary focus on Nishiki weaving, he is personally striving towards high functionality. 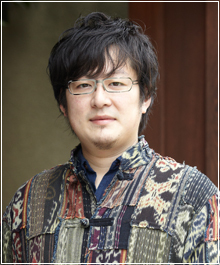 Tatsumura is an adjunct instructor at Doshisha University Project Department.